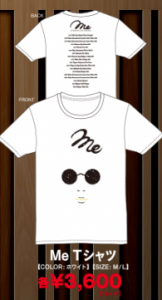 So here is (a little late sorry) post about the Jin Akanishi Me 2015 Concert Tour goods. I am willing to take orders for concert goods as outlined below. There are a few ground rules though, nothing too harsh I hope, but please make sure you read all the way through until the end. All prices are in yen, and are basically at cost, so no discounts can be offered. Goods List (as at Osaka cons – I will update and note that it is an update if any more goods are added). ***7. 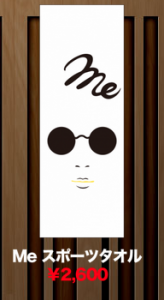 Me Tour Light stick (White colour when broken, with Me Tour logo on outer case). This item may not be able to be shipped overseas. Asking for post office clarification now. 13. 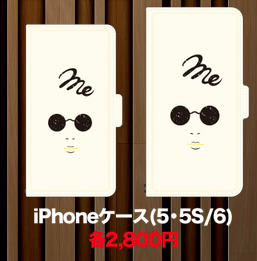 Me Logo Iphone Case (white Iphone folding style case that covers the screen. 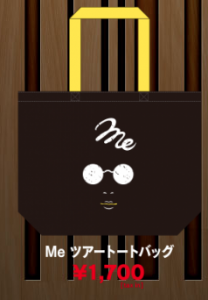 Me tour and Face logo on front. Available in 5. 5s and 6 sizes) *NOTE: This may sell out as it's a popular item, and there are no 6 Plus cases. 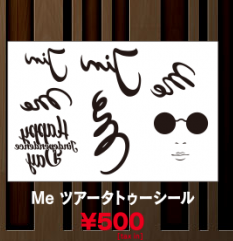 Me charms: These are a very in demand item, and have sold out at each concert very quickly. 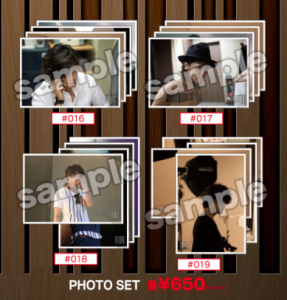 They are only available in limited numbers and each person can only purchase a limited number (in Osaka this was 3 per person, and they sold out within 20 minutes of goods going on sale, which meant some fans who had been waiting over 4 hours missed out). For this reason, I can not guarantee that I will be able to purchase a charm, and therefore will not be able to accept any orders for them. It is extremely unlikely that I would be able to purchase them. I can also not accept requests for specific colours as different concerts at different venues will have different colours. IF I am able to purchase any charms I will make another post, but this doesn't seem likely. Sorry to disappoint, but there are many many fans in Japan who are also disappointed at the limited number available so at least we can all be disappointed together. UPDATE: At today's concert in Chiba, charms were limited to one charm per person, and the goods line was heavily monitored to make sure people couldn't purchase multiple charms. Payment: Payment must be made in Japanese Yen to my paypal account. If you do not have a paypal account, I am sorry but it will not be possible to order with me, as my bank does not allow incoming money transfers for small amounts without notice. So please order only if you either have your own paypal account or have easy access to one. Please also note that as the buyer you must bear any paypal fees associated with the transaction. In some cases Paypal may add a charge depending on how the payment is funded, ie. the Personal Payment fee for a payment sent from a US PayPal account to a Japanese PayPal account is 0.3% when the Payment Method is exclusively PayPal Balance or bank account. It's 3.9% + 30 cents when another Payment Method (such as credit card) is used to fully or partially fund the payment. I think you should be able to see this when you are sending the payment - please just make sure that the final amount you send me is equal to the amount you should be sending me. I can let you know via a screen shot if it's short. 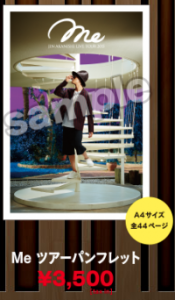 Postage: Postage will be via SAL as a standard practice, which costs around 1000 yen per kilogram, up to 2 kilograms. EMS is also available if you like but will be more expensive (at cost). Any packing material fees will be added to the postage cost (no more than 200 yen most likely if a new box or envelope needs to be purchased.) Shipping estimates will therefore be around 1200 yen, and will be charged seperately. Postage will be charged at cost in a second transaction. "Please also note that as the buyer you must bear any paypal fees associated with the transaction. " Is this different from the "Handling/Paypal fee 750 yen" above? Cause when I'm in my payment screen there is no option to choose this. Would you know how much is the % for the paypal fees so I can include this in my total when paying you. Hi, just to clarify the Paypal fees, it's a separate fee. Paypal Japan charges me 250 yen to transfer money from paypal to my bank account. Paypal in your home country may be free for non-business accounts, or it may be subject to the Personal Payment fee. For example this fee for a payment sent from a US PayPal account to a Japanese PayPal account is 0.3% when the Payment Method is exclusively PayPal Balance or bank account. It's 3.9% + 30 cents when another Payment Method (such as credit card) is used to fully or partially fund the payment. It's US specific, but you should be able to find similar documents linked from your home country paypal. Also - pssst Tshirt size - which applies?